This very unique sofa by famous architect Antoni Gaudi is on sale at Nyköping Auktionsverk. The vendor believes that the couch is specially ordered in the early 1900s to the Swedish American Line for the Swedish royal family. Initially it was thought that the couch was made for the Casa Batllo in Barcelona. 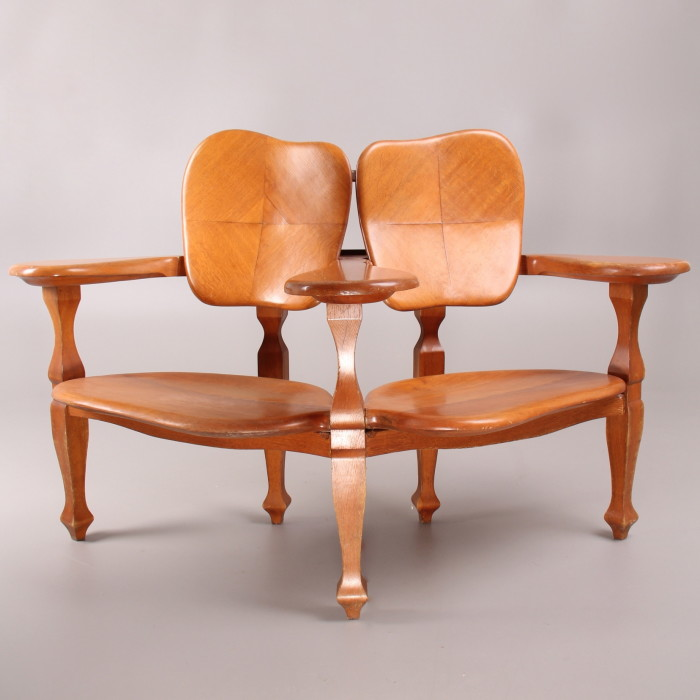 Similar items by Antoni Gaudi has previously sold for incredible sums of up to £22,000. The sofa, entitled "confidant", is an excellent example of Gaudi's expressionist, surrealist and organic exploration of architecture, see here how the sofa is soft and round in shape to fit the human body. The starting price is £4,400 and the auction going online until 14 September.